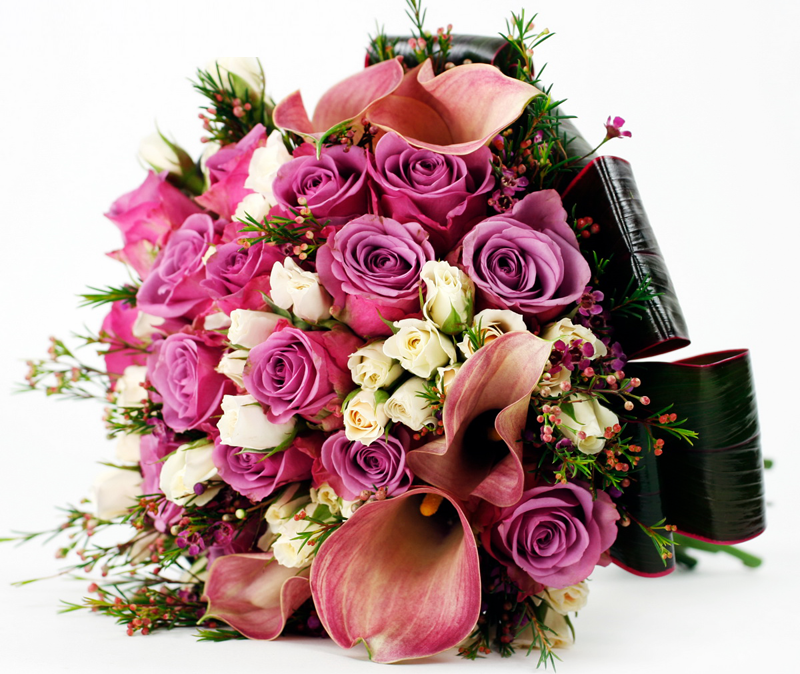 A New Bouquet for a Royal Baby Boy! The Flowers24hours team have been waiting eagerly for the arrival of the new Royal baby. The team have planned to design a beautiful flower bouquet in order to welcome the new heir to the throne. 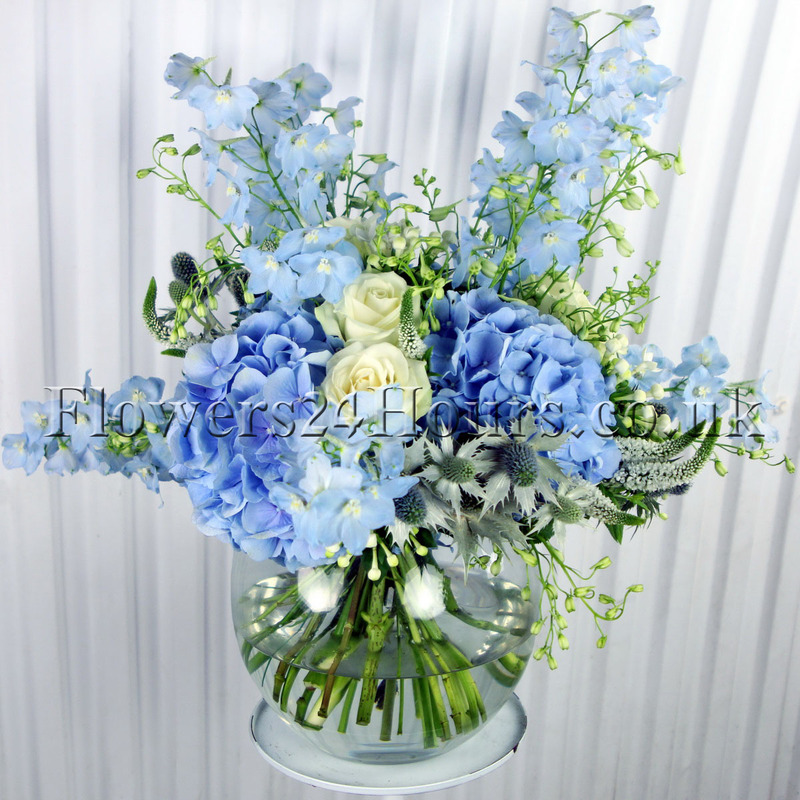 Flowers24hours decided to design a bouquet in hues of light blues and creams. 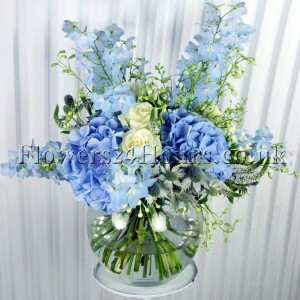 The arrangement included blue hydrangeas, blue delphiniums, blue eryngium, white roses, white bovardia and white veronica. The flowers complimented each other beautifully and would make an ideal floral decoration to make a home seem like a palace. Flowers24hours flower bouquet has been named ‘Royal Highness’ and is available to buy on the Flowers24hours website. 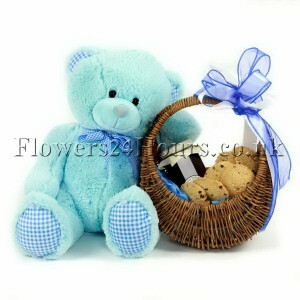 The company also recommends a few other baby gifts which will also make new parents smile with joy. 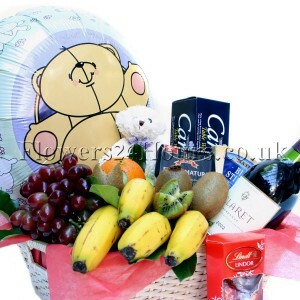 This gift includes fresh gerberas and chrysanthemums and is accompanied by a lullaby musical bear. This gift includes a blue cuddly teddy bear which is accompanied by a hand-woven basket filled with cottage delight biscuits and fudge. If flowers do not quite take their fancy then our fruit basket may be just the perfect gift for new parents. The fruit basket will include everything from apples, pears, bananas, strawberries, wine, crackers and cheese. The gift will also include a baby boy balloon and a cuddly teddy bear!